With the Lunar New Year just around the corner, families are kicking their prep into high gear, preparing ingredients for the myriad dishes they’ll be cooking, redecorating their houses, picking out the perfect dresses or suits to wear, and so on. And then comes the reunion dinner or Chinese New Year (CNY) gathering, where all the relatives from both sides of the family come together to dine and spend time together. But then, once the feasting, the usual family gossip or questions about work and/or marriage and all are done, and you want something to pit yourself against your relatives with besides mahjong or poker, what do you do? Bust out them board games, of course. No, not Monopoly or Uno (which are great games in many respects, but it’s time to level up). 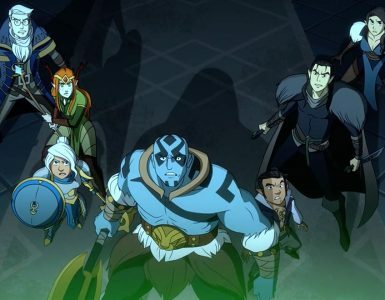 We at Geek Culture have played through board games of all kinds, but not all of them can fit a family gathering setting. 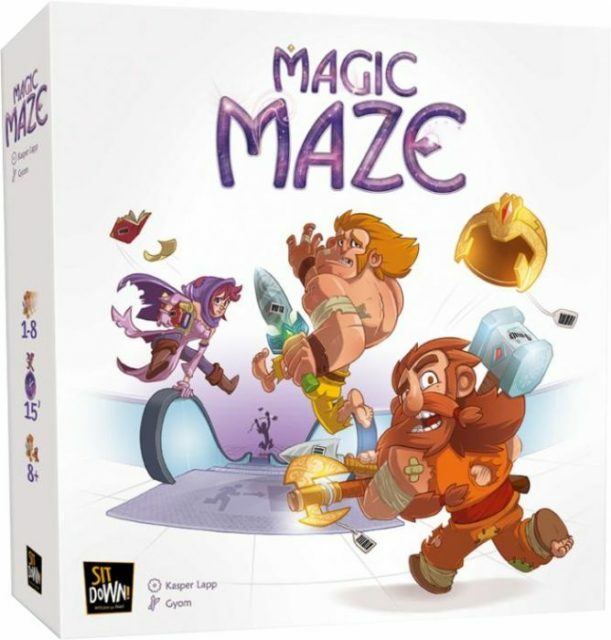 Typically, if you want to involve the family, these games should be accessible in terms of rules and playtime (we’ll try not to exceed the 1-hour limit, of course). 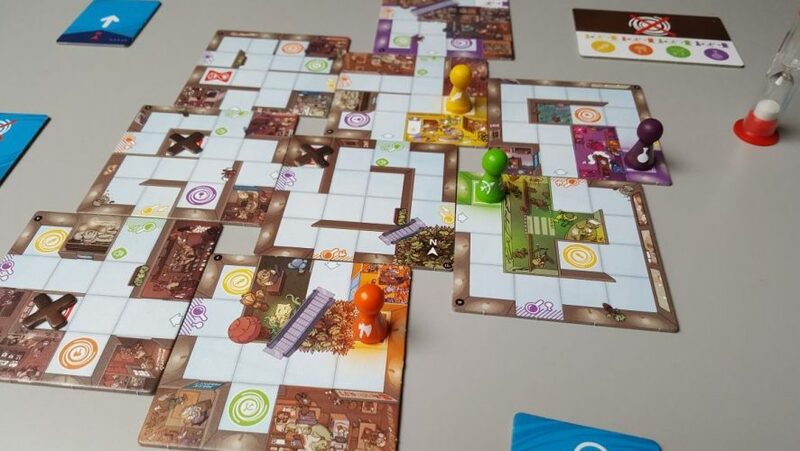 As such, here are 11 board games (in no order of merit) you should consider bringing to your next CNY gathering, or any big family gathering for that matter! 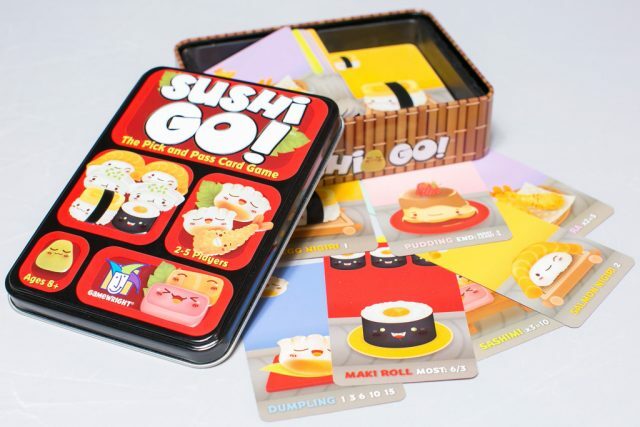 What’s the game about: Sushi Go! and its Party counterpart are games about eating sushi – or in this case, the highest-scoring combination of sushi! Imagine picking sushi from a conveyor belt, which goes around. Eventually, there’ll be no sushi left, so you’ll need to plan ahead! Who this game is for: Competitive people (don’t be fooled by the cutesy art – this game can get really competitive real quick! ), sushi enthusiasts, people who like cute art. How to win: Score points with the best combination of sushi! 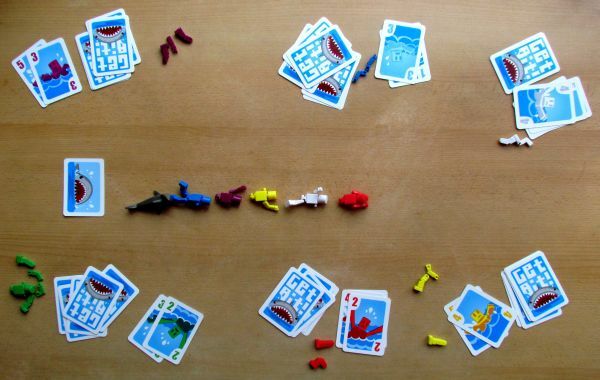 A deck of sushi cards is shuffled and then dealt to the players, who each then will receive a hand of about 6-9 cards, depending on the number of people playing. 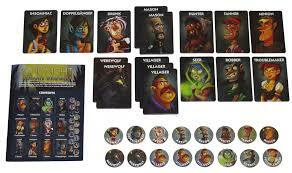 Everyone then picks a card from that hand and then passes the hand over to the player on the left. After three rounds of picking and passing cards have passed, players tally the total score and the one with the highest points wins the game. 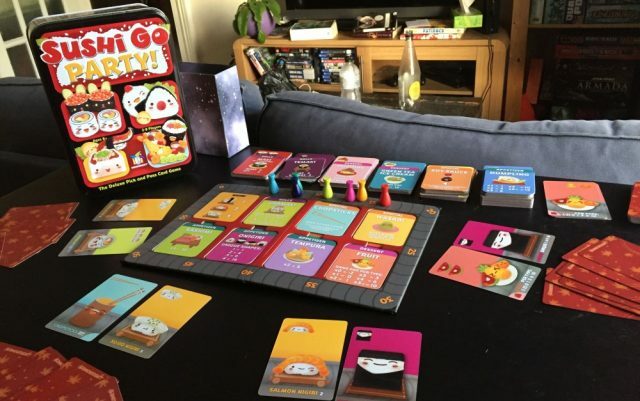 The Party version not only adds more players but comes with a board as well, so you can keep track of your score without having to keep track of it, like in the original game. It also comes with more types of cards that can be swapped into the deck, giving Sushi Go! Party a much more interesting and nuanced game than it already is! What’s the game about: (DISCLAIMER: This game can and WILL test friendships/relationships!) 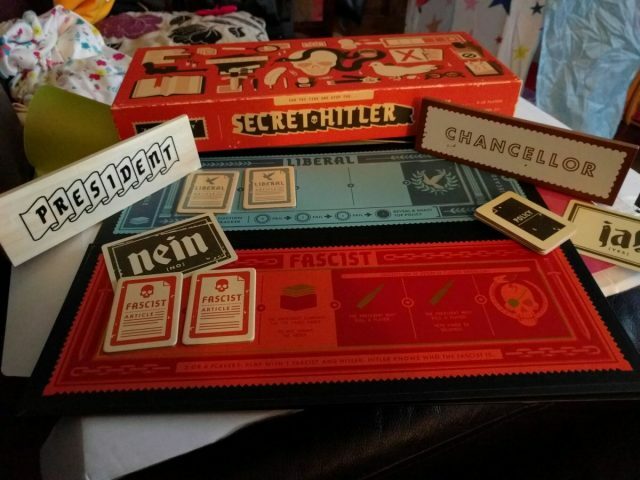 Secret Hitler, like its classic inspirations Avalon and The Resistance, is a social deduction game that pits two teams of players against each other. You’ll all be playing as politicians in WWII, with one side being the liberalists, and the other being fascists and the titular Hitler. You’ll be trying to convince people to get your way so that your team can rule the country how you want to! 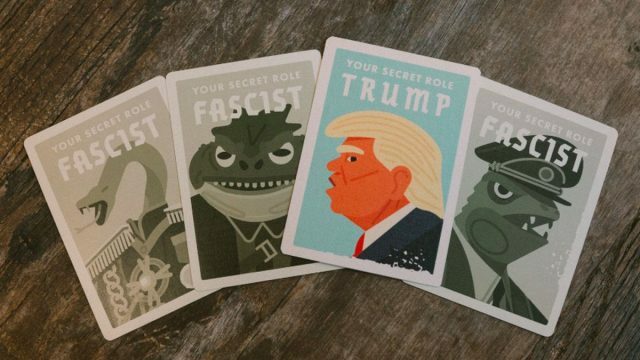 Who this game is for: Liars, competitive types (who are also good sports because there’ll be tons of backstabbing in this game), people who like to try being president for a day (or in this case, ten minutes). How to win: Get your political party to rule! Each round, you’ll all be voting on a President and a Chancellor. The chosen duo will then enact Policies, which sometimes includes Presidential Powers. These powers enable the President to do cool tricks, like execute someone, or look at their hidden loyalties. Nobody knows who’s who at the start (except the Fascists, of course), so everyone assumes to be playing on the Liberalist side. That’s where the lying comes in. Liberalists win by enacting 5 Liberalist policies; Fascists win by enacting 6 Fascist policies, or successfully voting Hitler as Chancellor! 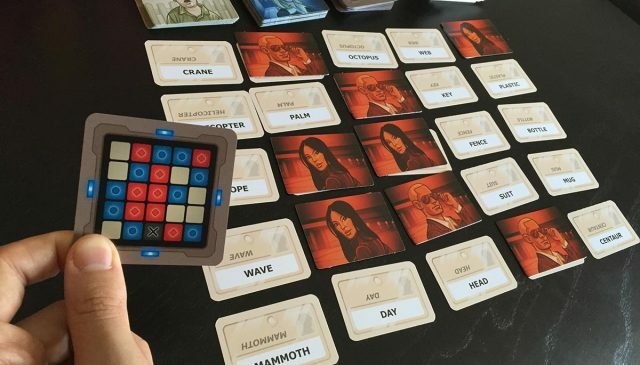 What’s the game about: Codenames is a team-based word-guessing game, in which you’ll be playing as spymasters trying to be the first team to guess all their agents by their codenames correctly. Who this game is for: Slightly less competitive players, people who love to show off their vocabulary, types who prefer words over math. How to win: Guess your agents correctly! The group of players is divided evenly into two (red and blue). One person from each team will be that team’s spymaster, who will then have access to an answer key based on the words that are arranged in front of everybody. 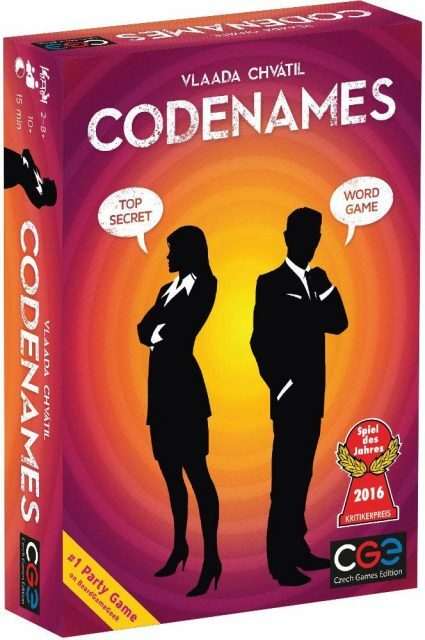 The spymasters will then take turns giving out a codename that relates to the word(s) the team will be looking for, and the number of words that are related to that codename. If the teammates guess the words correctly, the spymaster then places the respective coloured agent onto the words guessed. If not, it’ll either be one of the commoners, the enemy team’s agent, or the assassin, in which case the team instantly loses! 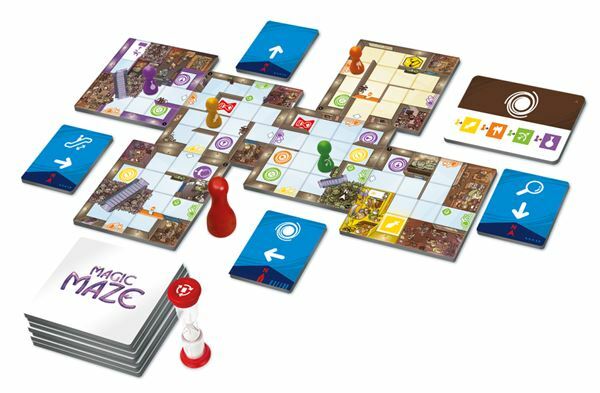 What’s the game about: Magic Maze is cooperative escape room-type game – with a twist! You’ll be playing as a quartet of thieves in a fantasy-themed mall. You’ll be directing each of them to their respective loot, after which you’ll all be making a mad dash over to the exit. To make things even more interesting, you’ll only be able to control one direction each, AND none of you is allowed to speak! It’s a great team-building game in that respect. While being one of the more silent games on this list, it’s also one of the more intense ones! Who this game is for: Parties who love a challenge and like to work together. How to play: Get in, get out! Anyone can control any pawn at any time. No turns are taken – the only limitations are the directions you can take, and that you can’t speak. Remember, you’re racing against time so it’s imperative that you get each pawn to each objective quick! There are hourglass symbols that allow you to reset the timer, at which point you’re given a brief window to discuss among (or scold) one another, before placing the timer up and resuming. Once all four pawns have reached their objectives, the next phase of the game begins, which is to get out. The same goes for movement, except that now you can’t use portals to get around quicker! In the easiest scenario, there’ll be only one exit, which is pretty straightforward. In the second scenario and beyond, there’ll always be four exits – one for each colour – so you’ll need to bring your A game in order to beat the harder difficulties! 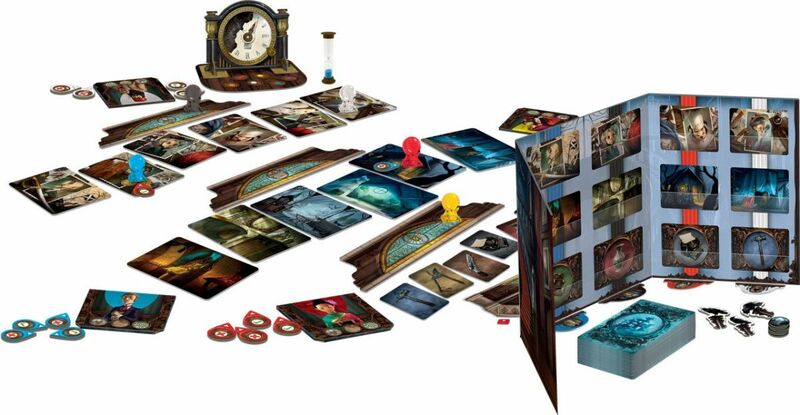 What’s the game about: Think Cluedo meets Pictionary. Context: you have been murdered and have become a ghost. Problem: You want the other players – who are playing as mediums and psychics – to bring your murderer to justice. How? You as the ghost cannot speak and can only communicate to the other players via dreams, a.k.a picture cards! Who this game is for: co-operative types, people who like mystery games, anyone who enjoys classic games but want something fresh. How to win: Guess your clues correctly together! The ghost gives out a dream card to each player, corresponding to the clue they need to find. 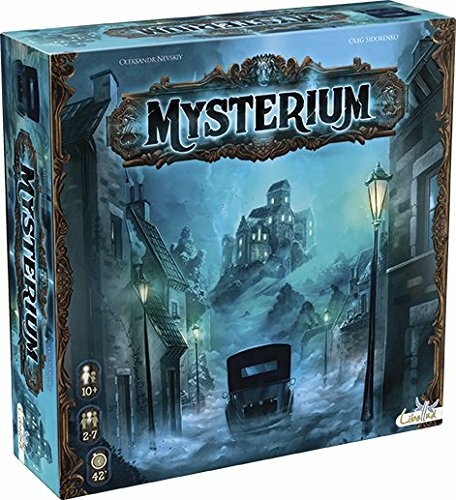 Players then have to try and guess correctly which clue the ghost wants them to find, but can discuss with other players. Once you’ve decided on a clue, the ghost will then tell you whether you were correct, at which point you’ll get to move on to the next set. There are three sets of clues to uncover (murderer, location, weapon – in that order). Players who are on the next set of clues can still help out players who are on previous the previous set. The aim is to get everyone to clear all three sets of clues, at which point you’ll enter the final phase, which is to guess which among these clues is the actual murder. Beware, though – you only have a limited time to guess your clues each round, so make it count! What’s the game about: In Get Bit, your aim is to be the fastest swimmer! However, you and your friends are swimming to see not just who is the fastest, but also who avoids getting bitten by the shark! It’s an intense affair, with everyone having an equal chance to edge each other out. Be careful – if you’re in the last place you’ll Get Bit, which is what you want to avoid! Who this game is for: Competitive people, non-swimmers who like to pretend that they’re Olympian Joseph Schooling (or better), people who love playing mind games. How to win: Avoid being last! Everyone has a hand of cards numbering 1 to 7. Each person will then pick a number in secret and place it in front of them. Flipping over together, the person who picked the highest number goes in front; those who picked the lowest number goes behind, and those who picked the same values stay put! The one in last place gets one of their four limbs bitten off by the shark. Lose all your limbs and you’re out of the game! 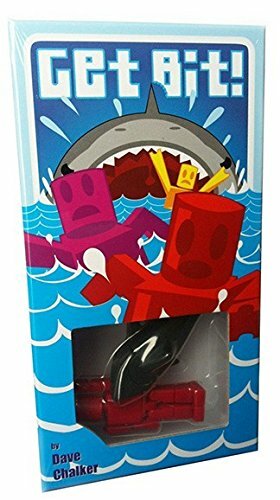 The game ends when there are only two people left, in which case the person in second place gets completely eaten by the shark because there’s no second place in Get Bit! 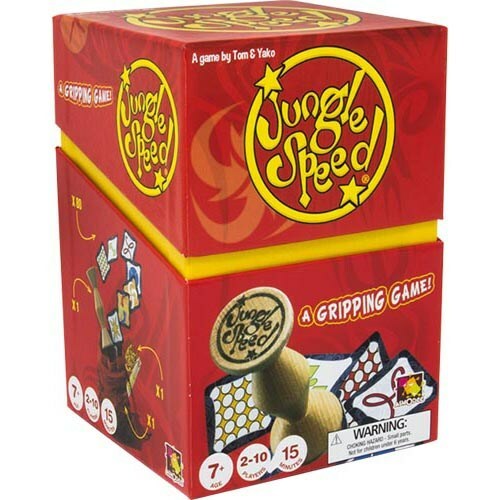 What’s the game about: Jungle Speed is a reflex game in the same vein as old classics such as Old Maid, Donkey and Snap!. It adds a couple of interesting twists to the popular formula that will often catch you off-guard with its constantly-changing rules, so be as alert as you can when playing this fast-paced modern reflex game! 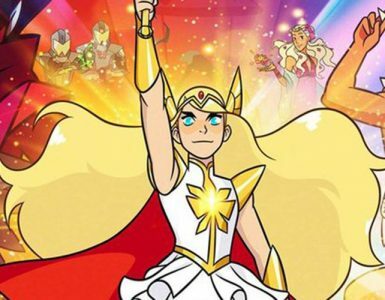 Who this game is for: People with cat-like reflexes, competitive people, people who enjoy classic games but want something fresh, people like a more “physical” game. How to win: Be the first to get rid of all your cards! You will take turns flipping cards over from your own deck, triggering duels for the same symbols drawn. Once a duel occurs, the first person who takes the totem in the middle avoids having to collect all the flipped over cards, which the other players have to do. There are special cards that tweak the game a little bit, such as having everyone instantly flip a card together, or even making duels trigger based on the same colours, not symbols! Careful – this game can go pretty quickly, so if you’re not careful and take the totem by mistake, you have to pay the price by taking ALL the discarded cards! 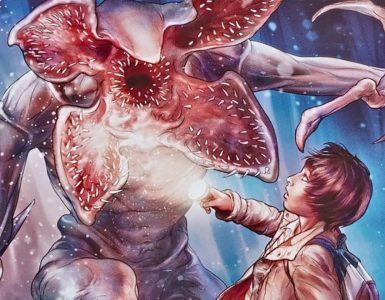 This game is one of the more “physical” ones on this list, meaning you’ll be literally fighting over the totem because you want to get rid of your cards as quickly as possible. If you want to make this even more crazy, take reference from the video below to show you just how crazy a game of Jungle Speed can get! 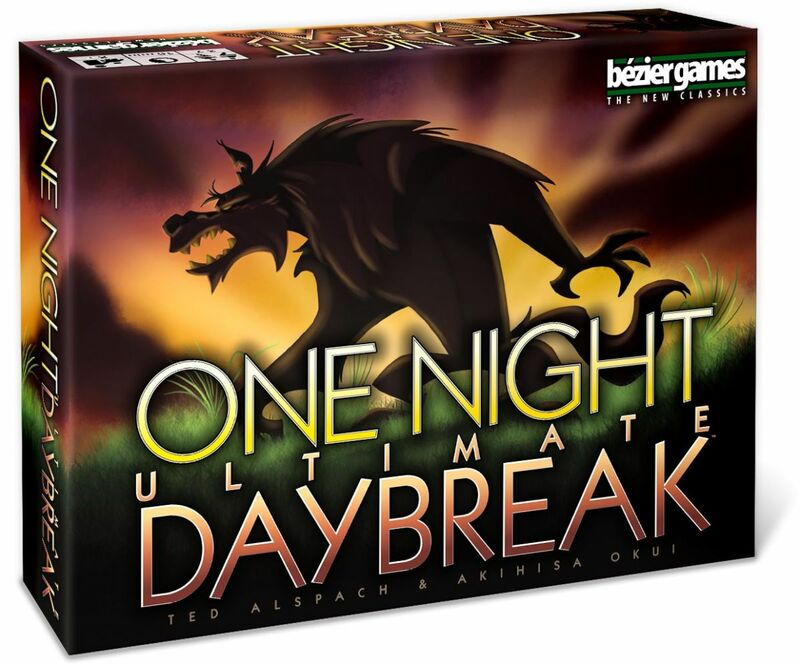 What’s the game about: There’ve been rumours of a Werewolf terrorizing villagers at night, which explains why people have been disappearing left and right. And it turns out the Werewolf might be among the villagers! You will be one of the various angry locals have gathered in the town square to hash things out in attempt to reveal who the shapeshifter is – but can you and your friends do it before the next night begins? Who this game is for: Liars, people who love to roleplay. How to win: Find out who the Werewolf is in just one round! Everyone starts by drawing a hidden role card, in which one person will be the dastardly Werewolf. The rest will include regular Villagers and Shopkeepers, and the occasional characters with special abilities, like the Seer or Doppelganger. You will then talk it out among each other, getting to know one another (you can obviously lie since your role is secret only to you). After discussion, everyone will then decide on a majority vote, Survivor-style, and the person who gets the majority vote gets executed. If that guy is the Werewolf, you win the game! It all takes place in ten minutes, after which you’ll get to swap roles for a completely different experience! 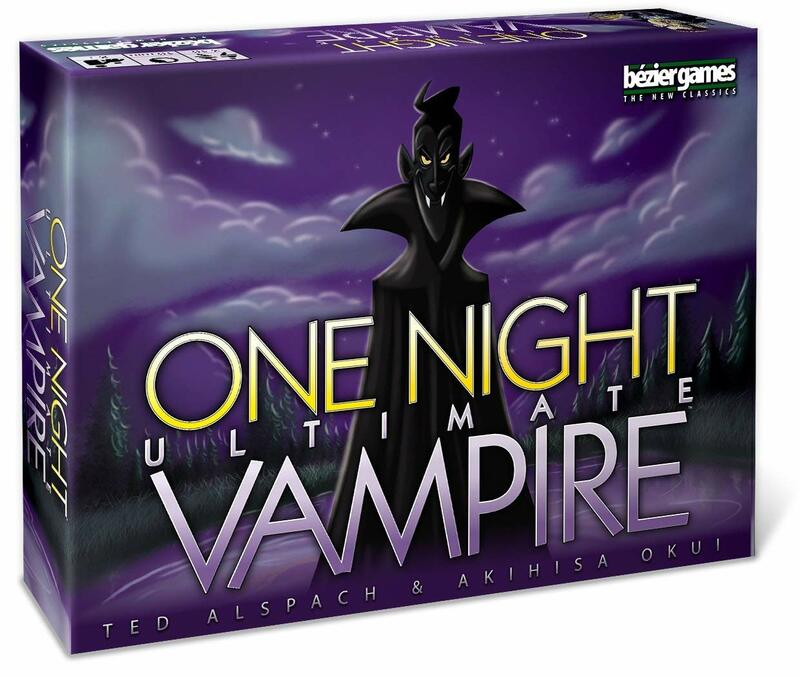 The One Night series has multiple expansions that can be played independently or be combined together with each other, making the One Night game much more nuanced and crazy! You might end up not just finding the identity of the Werewolf, but also the Vampire and Alien, who are also out to get each other! What’s the game about: Context? You and your accomplices have just robbed a bank. Problem? You forgot to divide the loot evenly, so what then? 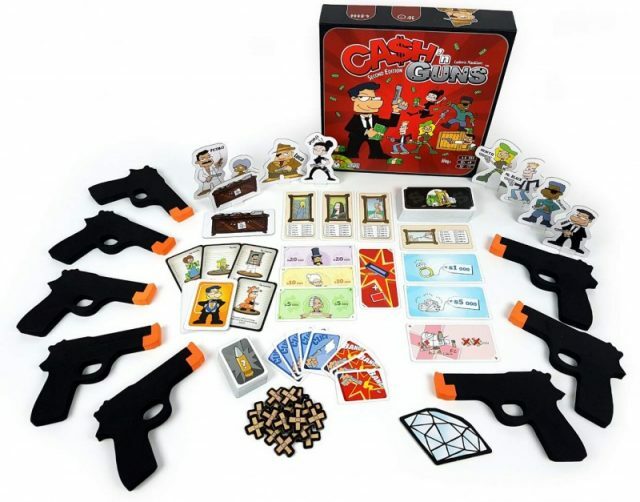 Shoot – or be shot by – your fellow thieves to stake a claim for all the loot and walk home with sackfuls of cash! 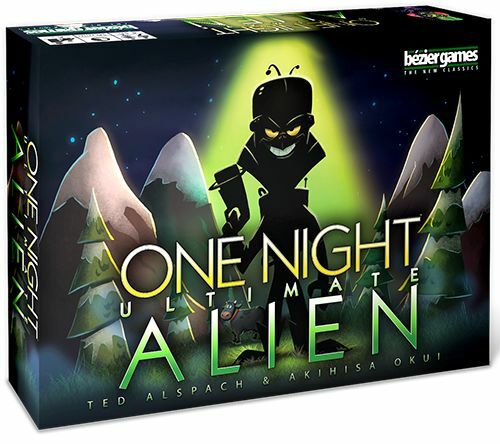 Who this game is for: People who like bluffing, competitive individuals, people who enjoy mind games, people who enjoy playing out their fantasies of being a robber. How to win: Have the most cash at the end of the game! There’ll be a set of random loot cards in front of you. The Godfather for the round counts to three, at which point you’ll hold another player at gunpoint (yes, we’re not kidding. Don’t worry, there are no actual bullets in the game!). You’ll have a chance to back away to avoid being shot, but that also means you don’t get to grab any loot (because cowards don’t deserve to win). The ones remaining will then flip over their bullet card to see who gets wounded. Those not wounded get to divvy up the loot, and those who suffer too many wounds die and cannot win the game, regardless of how rich they are! The loot cards range from cash to paintings (which you’ll need to collect more of for higher value), from medkits to clip cards (which replenish your wounds and Bang! cards respectively). What’s the game about: The 1986 classic returns with a faithful remake, thanks to devoted fans who crowdsourced it via Kickstarter! You’ll be exploring this cursed island in search of valuable treasure, including the awe-inspiring Heart of Vul-Kar crystal. 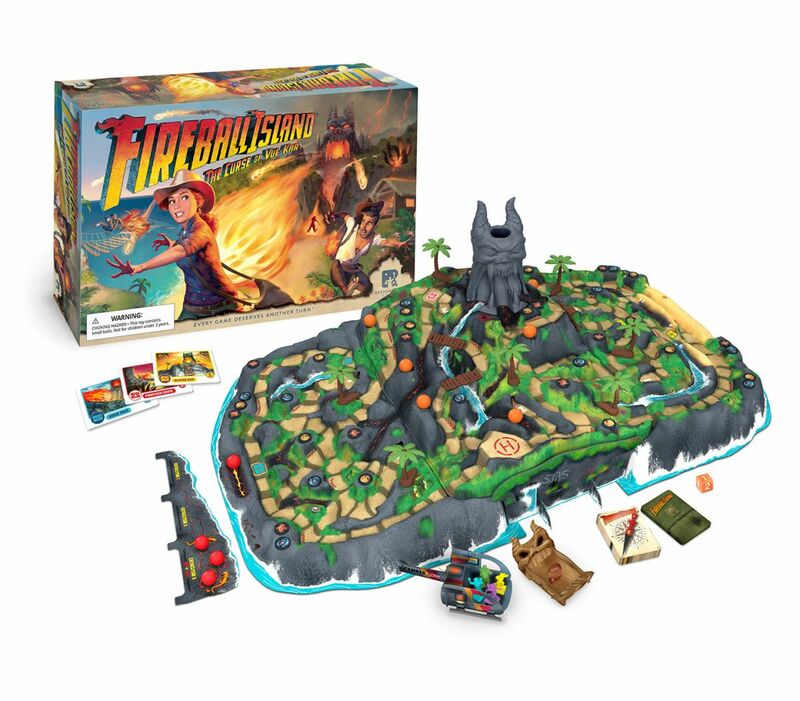 Steal that, and you might just end up triggering the angry spirit that inhabits the volcano! When that happens – GET TO THE CHOPPA! Who this game is for: Competitive folks, people who love to show off their shiny new toys, individuals who enjoy classic games but want something fresh, people who want to be Indiana Jones for an hour. 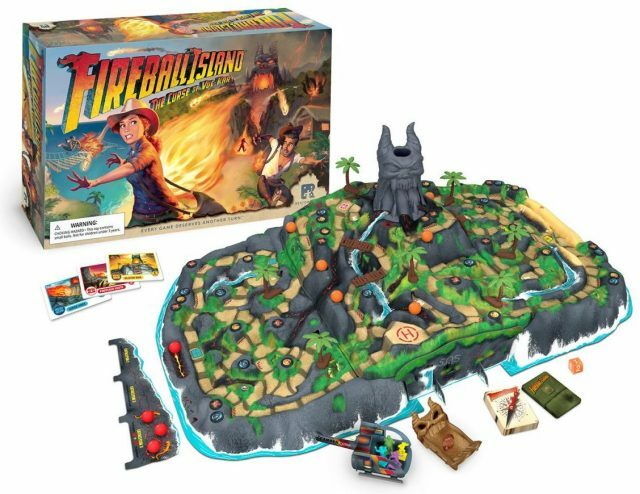 How to win: Score points by grabbing gems and taking snapshots of the island! Think of this game as extreme Snakes & Ladders – you’ll be advancing up the island by playing cards that dictate the number of spaces moved, while sometimes collecting souvenirs for points, taking pictures of the island (not literally, although the game board is a sight to behold), or building ladders and bridges that act as shortcuts. Watch out though – once somebody steals the Heart (which scores some tasty bonus points), the eruption triggers, causing fireballs to roll down and knock anyone unlucky enough to be in their path back down to the first area! Once you’re done with your haul, quickly make your way to the Hello-Copter to safety (and also to confirm the points you scored)! What’s the game about: This one’s a little different from the rest because it’s the only game on this list made in Singapore! 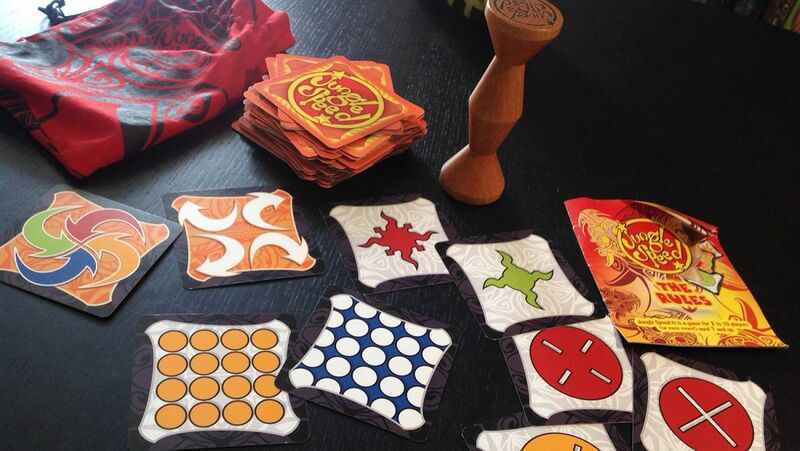 It’s one of the few decent locally-made games out there, also via Kickstarter. Since then it’s become a hit upon release, for both locals and non-locals alike, and we’re not surprised why. 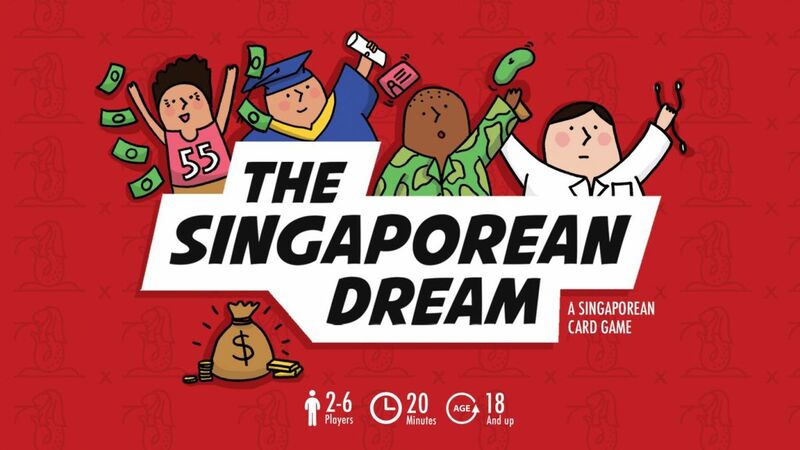 The Singaporean Dream is an easy-to-learn card game, where your aim is to be the person with the most number of dreams.. more often than not at the expense of your friends! Who this game is for: Competitive people, people who like taking a little jab at Singapore culture, people who like Monopoly Deal but want something fresh. How to win: Get the most dreams! You take turns depositing cash, buying dreams with said cash, using your personality’s special power (there’s a total of six Singaporean personalities – each one is different! ), or using the action cards (each with a cute satirical nod to Singapore culture), which make up a huge majority of the fun. Action cards allow you to fast-track your way to victory with effects such as forcing people to pay you, steal dreams, often with ridiculous forfeit-like tasks such as doing push-ups, reciting the Singapore National Pledge. The game ends when the last dream card has been purchased, at which point the player with the highest number of dream cards wins the game! And that’s the list. 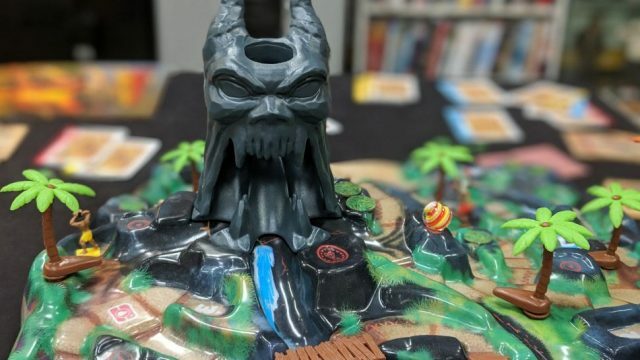 Eleven solid board games to consider for any family gathering. Just make sure to shake hands before and after the games, all bets are accounted for, and that everyone had a good time! The Wisdom Saving Throw DC for this box is pretty high.